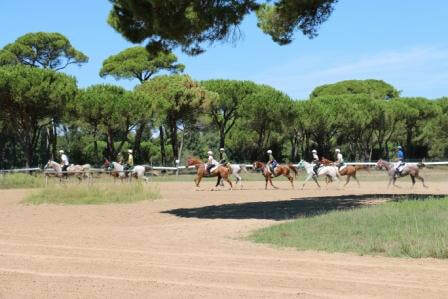 Vicopelago Driving Range: this driving range with 3 practice holes is situated behind the tennis centre at Lucca. There is also a resident professional at the range. Tirrenia Golf Club: this beautiful 9-hole course, founded in 1968 by the U.S. Army, Tirrenia is a difficult test for every golfer, with its undulating fairways and small, well-protected areas. 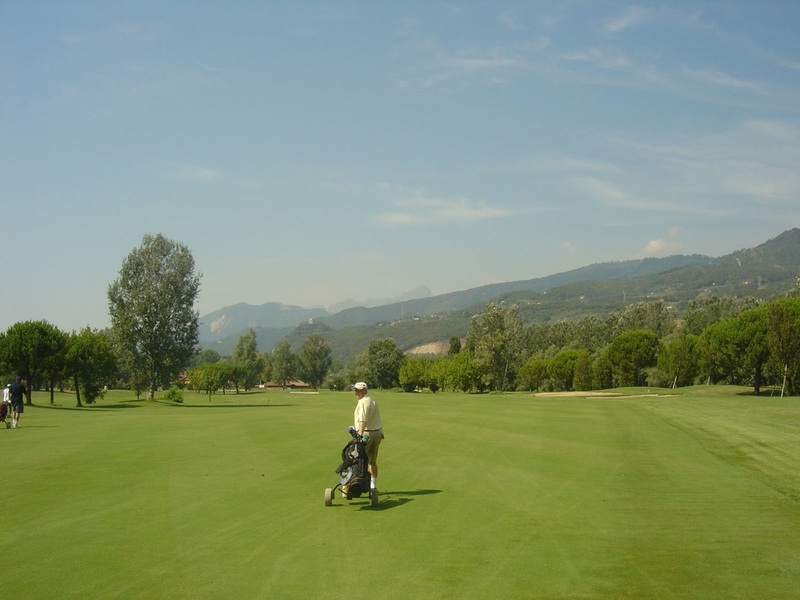 Versilia Golf Club: a pleasant 18-hole course, close to the famous sandy beaches of Versilia. The course has many water hazards and tree-lined fairways, providing a good and testing round. 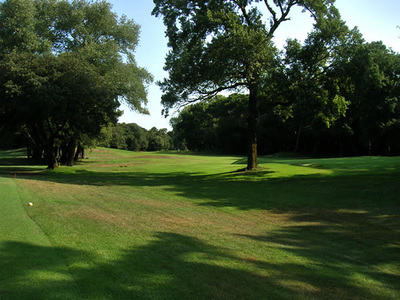 There are many golf courses throughout Tuscany. 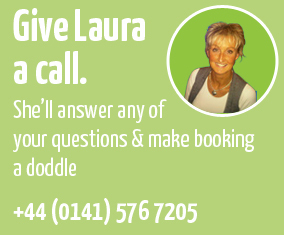 Click HERE for more info prior to your trip. 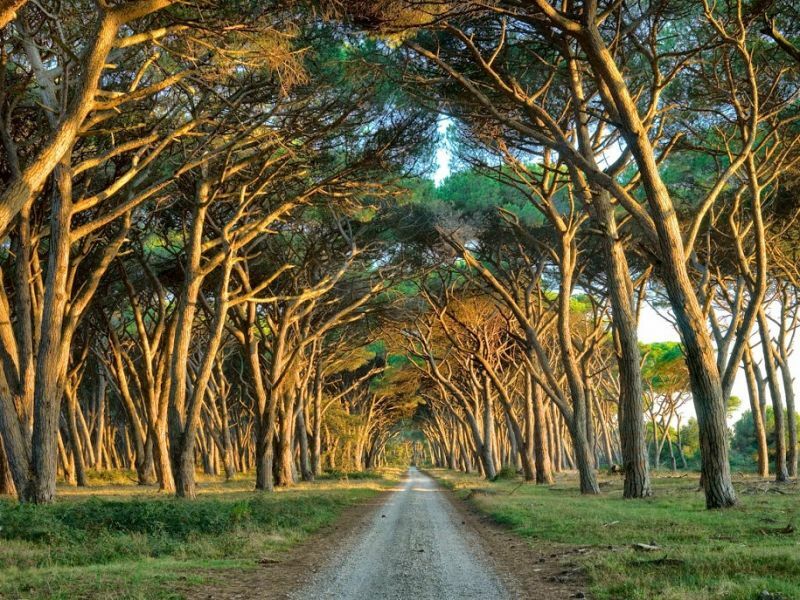 Apart from walks around the many interesting towns and cities in Tuscany, the local countryside has many walks, of differing levels of difficulty and time, which may be taken. 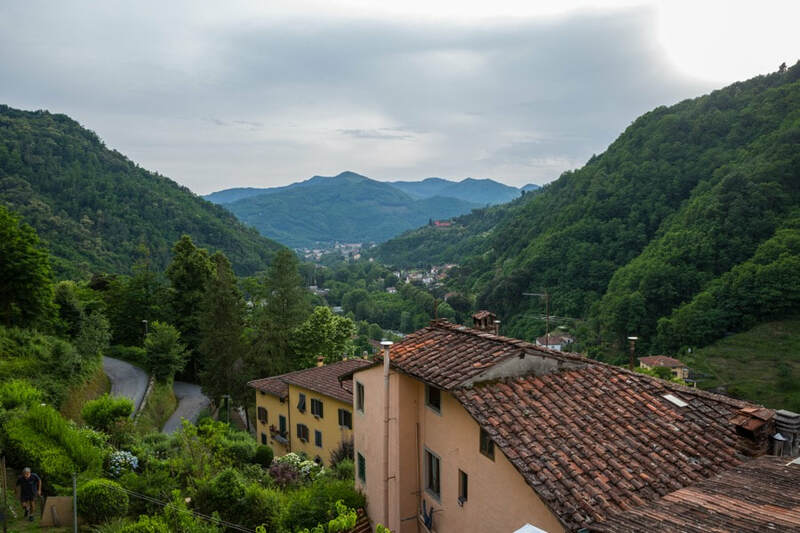 A delightful walk on the walls of Lucca should not be missed, a distance of only 4 kilometres. 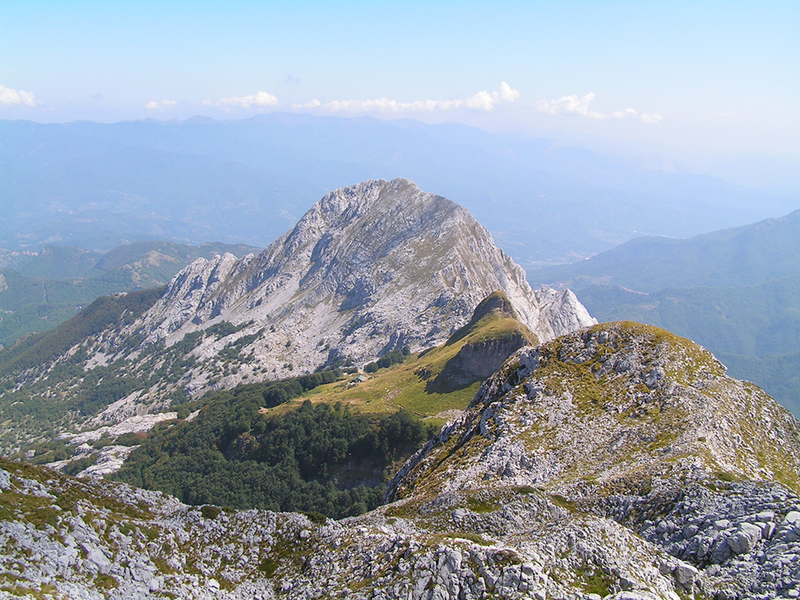 At Villa Orsi, Pieve di Compito, Lucca there are walking tours in the olive groves and forests of the Pisan Mountains. 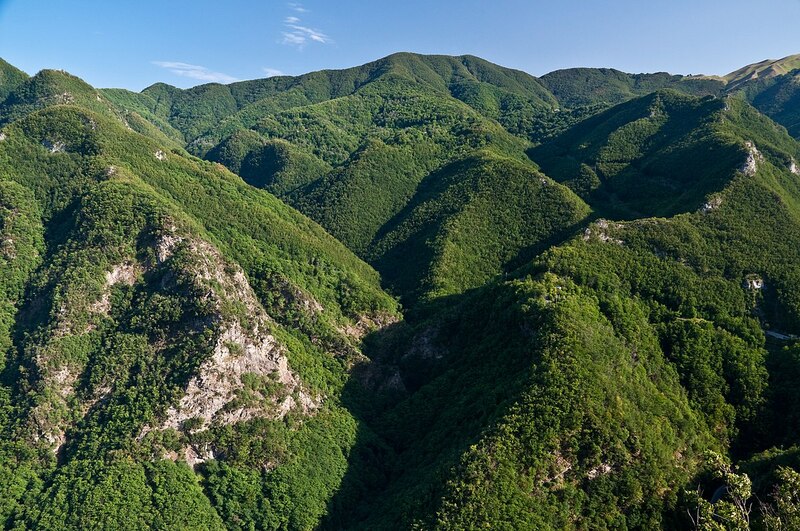 The Garfagnana valley situated between the Orecchiella Mountains and the Alpi Apuane boasts many areas for walking, which can be both relaxing and challenging, for the hikers or scramblers. Click HERE for more info on parks. 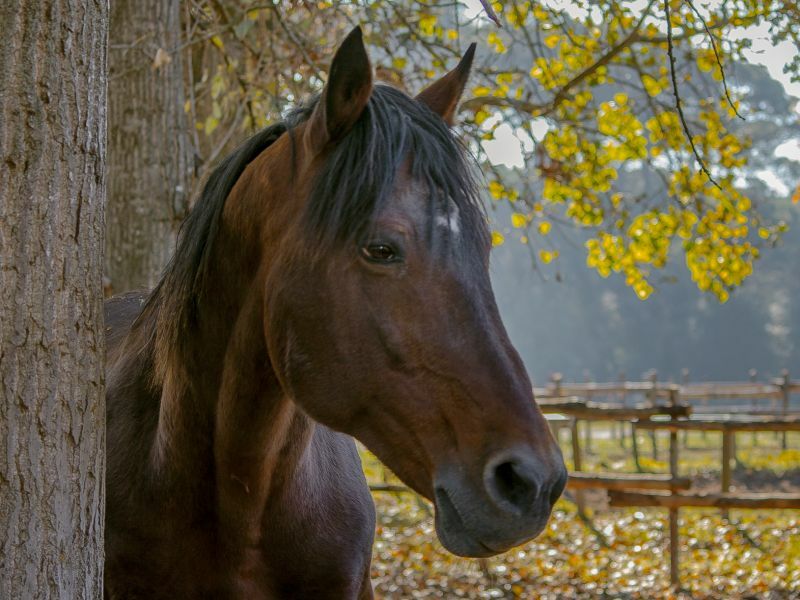 Horse riding is an attraction at the Parco San Rossore, about 35 minutes drive from Lucca, and escorted treks are taken through the woods or along the beach. Qualified and knowledgeable instructors accompany the treks, giving information not only about the horses themselves, but also about the park and the abundance of different species of wildlife. Tuscany has many thermal baths and spas, which provide many forms of treatment. 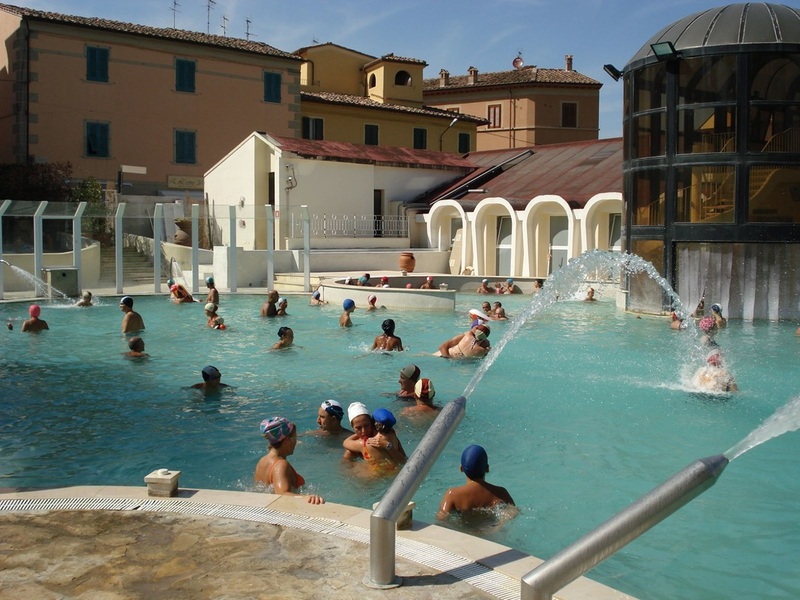 They are extremely relaxing places with the waters said to contain therapeutic characteristics. Many of the spas or "terme" are old-fashioned in appearance and are set in delightful gardens. 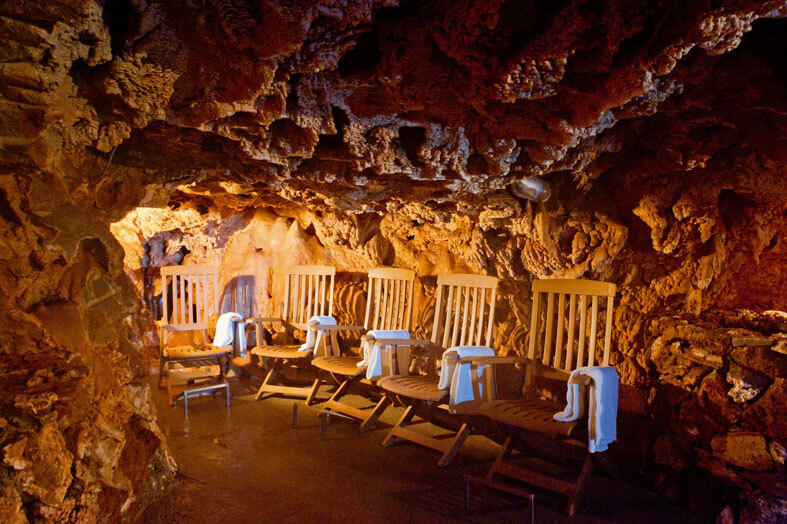 Grotta Giusti in Monsummano Terme, is an easy drive from Lucca. 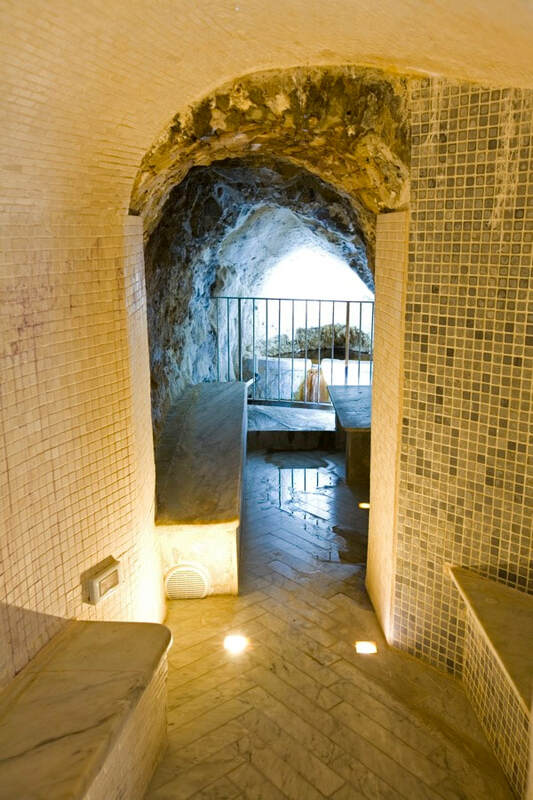 This spa boasts a unique thermal cave, a marvel of nature that stretches for more than 200 metres underground, divided into 3 distinctly named areas called Heaven, Purgatory and Hell! 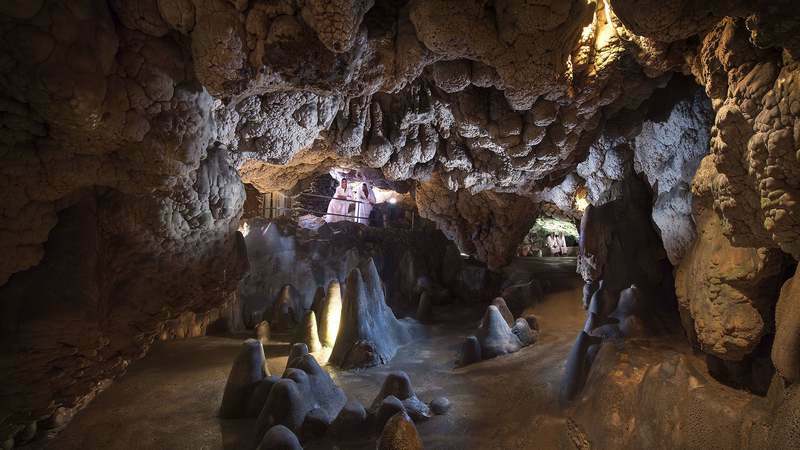 The most unusual attraction being the grotta, starting from the entrance through to the deepest part of the grotta, three different zones are crossed, each one increasing in heat, which tradition has named Paradise, Purgatory and Hell. 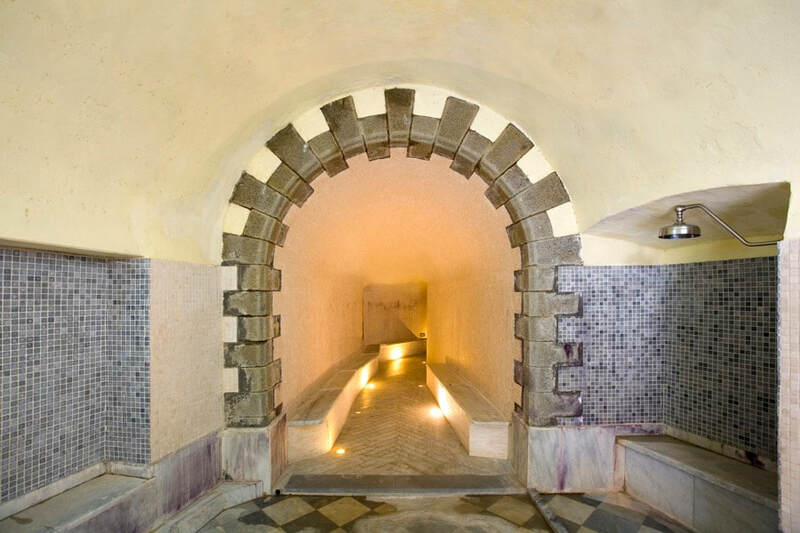 The steam of the rich thermal waters generates a natural "bath of health" which leaves an overall sense of well-being. 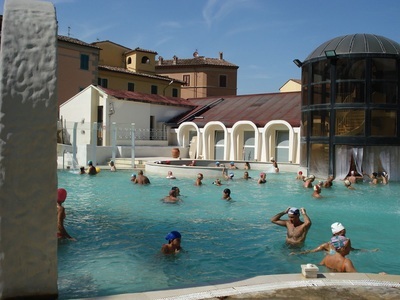 Casciana Terme offers many therapies which should be pre-booked, or relax in the pool and surrounding gardens. 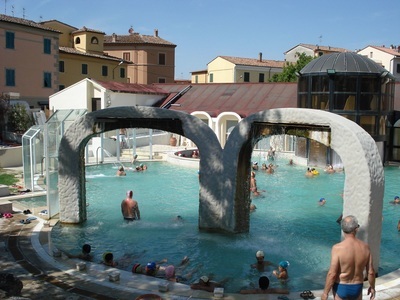 Terme di Bagni di Lucca boasts warm sulphur springs and is reputed to be the oldest terme still in use. 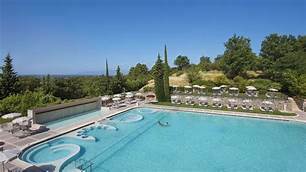 It is believed to have been used in the 11th century by the then ruler of Tuscany, Countess Matilda, but more recently by Byron, and the poet Shelley.